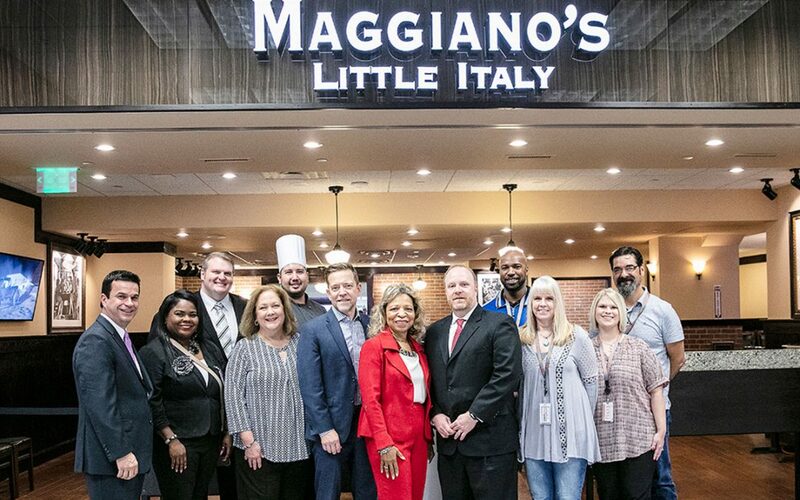 Maggiano’s Little Italy is now open at the Dallas Fort Worth International Airport (DFW). Operated by HMSHost, the new Italian restaurant is located in Terminal C.
The family-size dishes that the franchise is well-known for have been scaled down to accommodate single guests, but the larger portions are still available for bigger groups of travelers. The dining room seats up to 225 guests and features a bar and a convenient grab-and-go station.